Divorce is the end of marriage between husband and wife. A husband or wife can file a divorce to the court. When the case is handled by the court, to reach the hammer tap divorce, there are stages. It must go through the mediation stage first, present witnesses at the trial, and if the excuse is accepted, then the court will grant the claim. Divorce has been regulated in the Marriage Law. Divorce proceedings can proceed if both parties have agreed to sign a divorce document and complete all the conditions needed in the court later. Well if you want to sue joint property, prepare documents, such as land certificate, motor vehicle ownership documents and other property documents. After preparing the complete documents, you can go register a divorce claim to the Religious Court or District Court. Registering a divorce claim must go to court in the residence of the defendant. If the wife will sue for divorce, the wife must file the lawsuit in the court where the husband is. Once arrived at the court, you can go directly to the legal aid center in court to make a lawsuit. This divorce letter must include the reasons for suing for divorce. The reason for the divorce lawsuit must be acceptable to the court, such as there are elements of abuse, neglect, violence, continuous arguments, and other reasons. Fees for the divorce period must be paid by the party who filed for divorce. These costs include registration fees, stamp fees, processing fees, editorial fees, and court call fees. Costs incurred during the divorce hearing process depend on the two divorced parties. If one of the parties has never responded to a summons, the court has the right to charge a higher fee. But, this again depends on the number of absences of the divorced party. When the trial process runs, both parties must attend the trial to attend mediation. With the mediation, it is expected that both parties can reconcile and withdraw the lawsuit. However, if the decision to divorce is unanimous, it will continue with the reading of the divorce claim. If the defendant has never fulfilled a summons from the court to attend the trial, then the court can make a ruling containing a legal term between husband and wife. This decision will then be sent to the defendant as evidence that the marriage is over. If the defendant does not respond at all to the verdict, the court has the right to make a divorce certificate. Divorce lawsuits can run smoothly if the plaintiff provides clear reasons for filing a divorce. This reason will also be conveyed in court, including presenting witnesses that can strengthen the reason for divorce. These witnesses will be presented at the divorce session. If you are still confused, don’t want to bother managing your divorce lawsuit yourself, you can hire a lawyer who will solve all your divorce problems. With the Tulsa divorce law, you at least have a shield to protect yourself from the threat that comes from your partner suddenly. 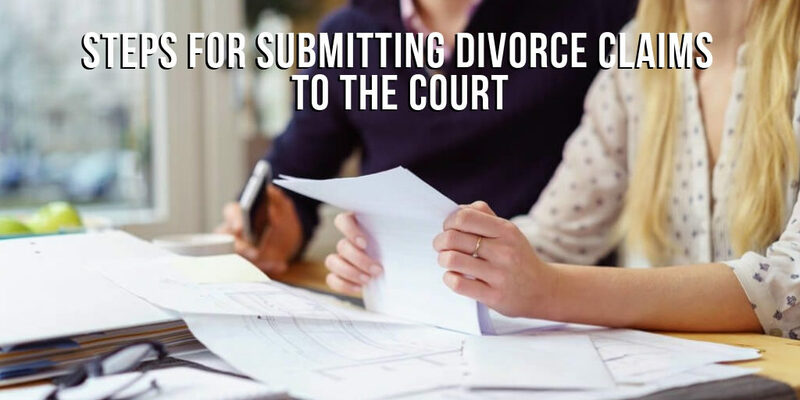 As complete as any divorce document that you submit to the court, it will still not be useful if you do not follow all instructions from the court properly and correctly. Therefore, follow all court instructions and always fulfill the summons, especially if you are a plaintiff.